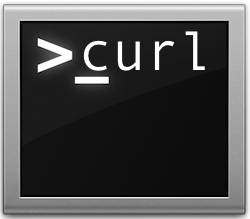 The powerful curl command line tool can be used to download files from just about any remote server. Longtime command line users know this can be useful for a wide variety of situations, but to keep things simple, many will find that downloading a file with curl can often be a quicker alternative to using a web browser or FTP client from the GUI side of OS X (or linux). This is is helpful for local situations, but there’s particular value if you’re in a situation where you need to download something to a remote Mac when connected through SSH. For the purposes of this walkthrough, we’ll focus primarily on downloading files from the two commonly encountered HTTP and SFTP protocols, though it should be noted that cURL supports many more protocols. Though curl is easy to use, having some knowledge of the command line is recommended. This means if the specified URL file is named “sample.zip” it will download with the filename “sample.zip”, and if the file is named something enormous and complicated like “LongExampleFileNameForOSXDaily-v-1-3-51-revision-515b12-readme.txt” on the remote server, it will save with that exact name on the local machine. Longer file names are often better handled with the -o flag rather than -O, which we’ll address shortly. Regular readers may recall that we used the curl -O command when explaining how to extract the actual audio content from an m3u streaming file. Beginning any download with curl shows the percent transferred, time spent downloading and time remaining, and the transfer speed. With transfer speed showing you could redirect the output of curl to /dev/null and use it to test internet connection speed, but the wget command has an easier to read and follow transfer bar thus wget is better suited for that task. This will download the “iPhone5,3_7.0.4_11B554a_Restore.ipsw” file but named shorter as the more meaningful “iPhone5C-704.ipsw”. This would grab the files fdl-1.1.txt, fd1-1.2.txt, and fd1-1.3.txt all at the same time without having to specify each unique URL. Of course this only works if the files are in the same directory together and at the same domain. Keep in mind that bash history will store the password in plain text when using -u with a username and password specified, thus this is not recommended for most situations. You can get around that by placing a space in front of ‘curl’. If you don’t use the spacebar to prefix the command, you’ll probably want to empty the command history afterwards to be safe. Additionally, you’ll find that curl can also be used for PUT and POST requests, cookies, proxies, tunnels, resume downloads, and even grabbing HTTP header information or changing a user agent (effectively spoofing) without the need to use a dedicated web browser. Like most command line utilities, you can learn much more about curl by summoning the appropriate man page with the ‘man curl’ command. Can I use curl in a script in order to push our software to remote machines? I know I can use the -s switch to install, but that is local. I am trying to get the data from a PV solar power converter via WIFI using a password secured Seversolar-IP 160.190.0.1 connection. BUT I only get the html file and that file is converted in 7_zip format. No data like name, number or energy converted is present. When I copy/paste the content directly from Firefox by mouseclick then all data is present. Is there a command for cURL to download not only the html lines but the data variabels too?